I don't know how many of you have a Trader Joe's near you, but I LOVE TJ's. There are several items unique to Trader Joe's that I cannot get anywhere else and I thought I would share a few with ya'll. 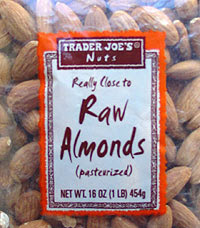 If you don't have a Trader Joe's near you, but you are familiar with them, I am REALLY sorry for teasing like this. . . Nuts. Yes I am, but that is besides the point. There are so many nuts here to choose from, and I think my favorite are the Spicy Thai Lime (something like that, I wish I had the package but I have them all over the place so I usually keep them in containers or bowls). I find that if I am a little hungry, if I just grab a few nuts that does a really good job of tiding me over. 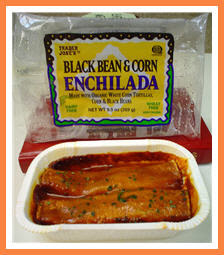 Enchiladas. 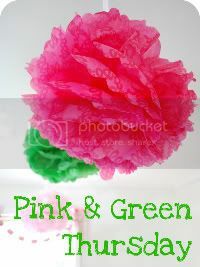 . . .they have several kinds, but these are a favorite. Most of their prepared meals are made in good size portions for two people which is something that I am really happy about. I am not big on prepared meals, but from Trader Joe's I don't have as much of a problem with it as there are no additives and no preservatives so it is just like I would be making it from scratch. Crumpets. I know weird right? I LOVE these though and prefer them over English muffins. Trader Joe's is the only place I have ever been able to find them. History has it that Queen Elizabeth had her chef invent them, they have more porous holes thank an english muffin so as to hide more butter and jam. Wine. You knew it was coming didn't you? They have one of the best inexpensive wine selections around. 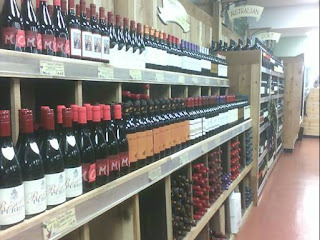 Most of their wines are under $9.99 a bottle. They even have their own wine, commonly referred to here in MN as three buck chuck. I knew it in CA as two buck chuck, but they had to raise the price here in MN. When I lived in NY and CT liquor laws would not allow for the wine portion of their stores, which I really missed and I am glad to have it back here in MN. I LOVE TJs. I totally agree with you about their prepared meals...they are actually good! They have these rice bowls that I used to keep in the freezer for "emergency" lunches. The only downfall for me is that the two stores closest to me don't sell wine! I live two blocks away from a Trader Joe's! LOVE IT. Their peach salsa? Delicious! I just checked NWA for flights to Minnie for this wknd (it's a long weekend up here) and it's $1500. I loves ya Jilly, but I don't love you $1500 for a 40 minute flight. I LOVE TRADER JOES!! I love their chips and salsas, pita chips, wraps, nuts, guacamole, frozen entrees (I'm with J, great to have for emergency lunches!) I wish we had wine in ours though! Jealous! Hee-hee, when I started buying wine there it was TWO buck chuck. Drat inflation!